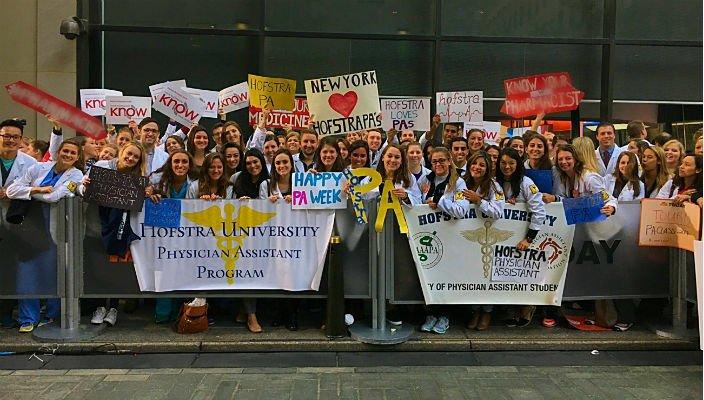 About 50 students and faculty from Hofstra’s Physician Assistant (PA) Studies Program were on the set on NBC’s Today show in New York City for National PA Week, held annually from Oct. 6 to 12 to increase awareness of the profession and to promote a healthy lifestyle. 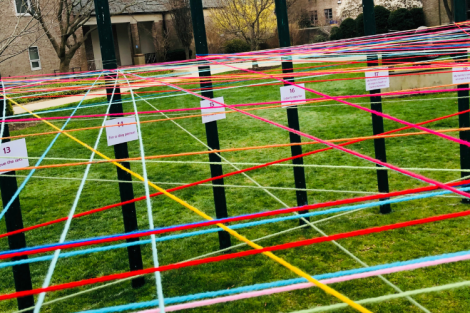 The students, along with PA Program Director Carina Loscalzo and Professor Kelly Porta, joined dozens of PA students from across the state to support the “PAs on the Plaza” event on Oct. 6, organized by the the American Academy of Physician Assistants. 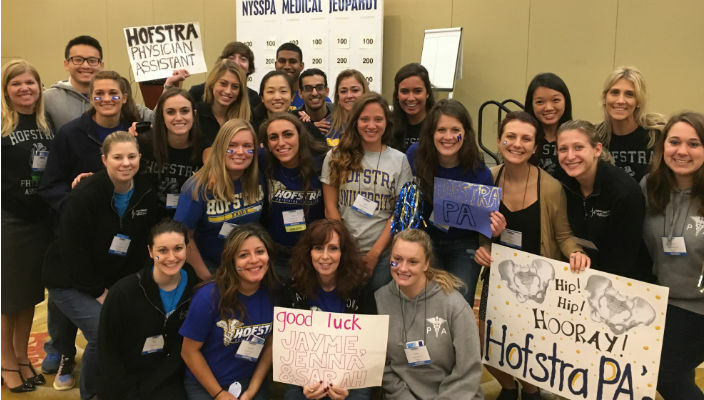 This was the fourth year in a row that members of Hofstra’s PA program participated in the event, which is held at 30 Rockefeller Plaza. Several faculty and students also attended the New York State Society of Physician Assistants annual conference, held Oct. 7-9 in Tarrytown, NY. 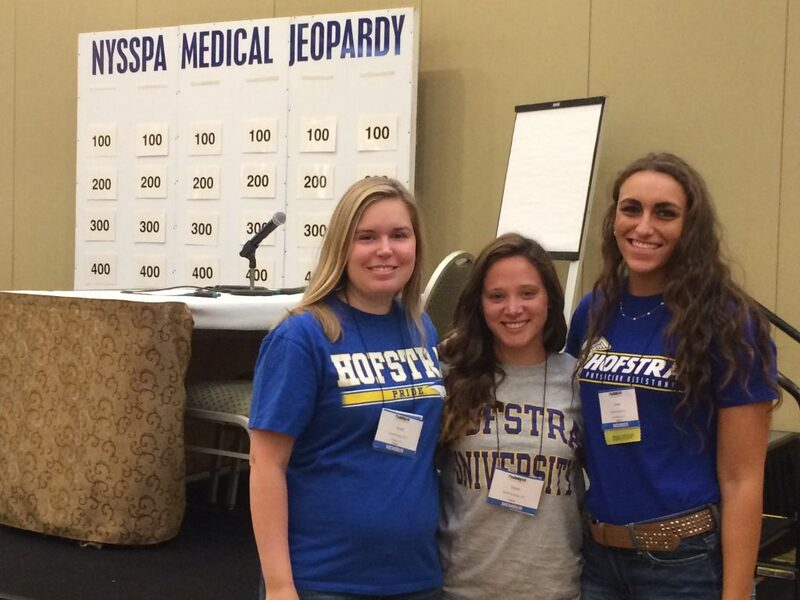 Students Jenna Razeq, Jayme Kunze and Sarah Williams represented Hofstra in the “Medical Jeopardy” competition and advanced to the semi-final round by answering questions on subjects ranging from anatomy and pharmacology to diagnosis and surgery.